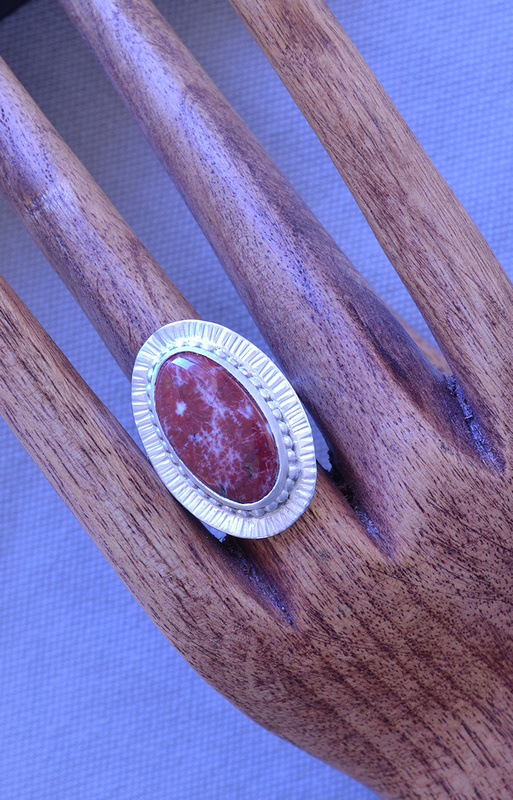 This is a pretty little Red Jasper with a brilliant star setting on a red world. This stone is a little "redder" than most Red Jasper which veers a bit more toward brick than true red. I went through every page of Ron Gibbs gorgeous photos of jaspers and didn't come across a single one that seemed to have just this shade. Diane Ackerman's poem in Within the Stone mentions "flamingo-red suns" though our stone doesn't get quite that close to pink! Zenz dedicates a significant part of Agates III to jaspagate and jasper. He arranges the text by country, and within the section on the USA he has subsections by state. He says, "In Arizona, jasper occurs so frequently and in so many different varieties that 'ordinary' and 'typical' kinds, which elsewhere rockhounds would be happy to add to their collections, are hardly given any attention at all." An embarrassment of riches wouldn't you say? Simmons says Red Jasper can increase one's chi. 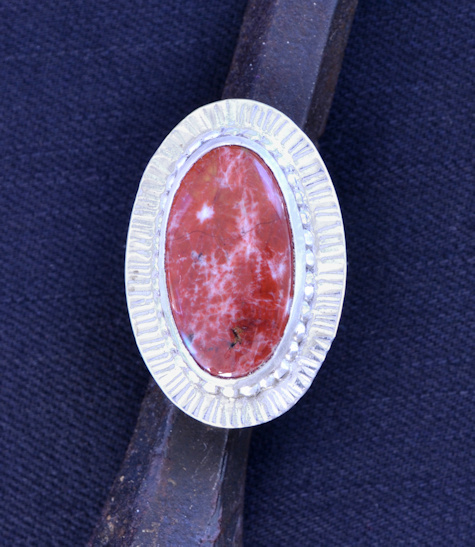 Melody says Red Jasper helps to "eliminate the aspects of digression." You'd probably say that might be helpful for me in writing these essays. 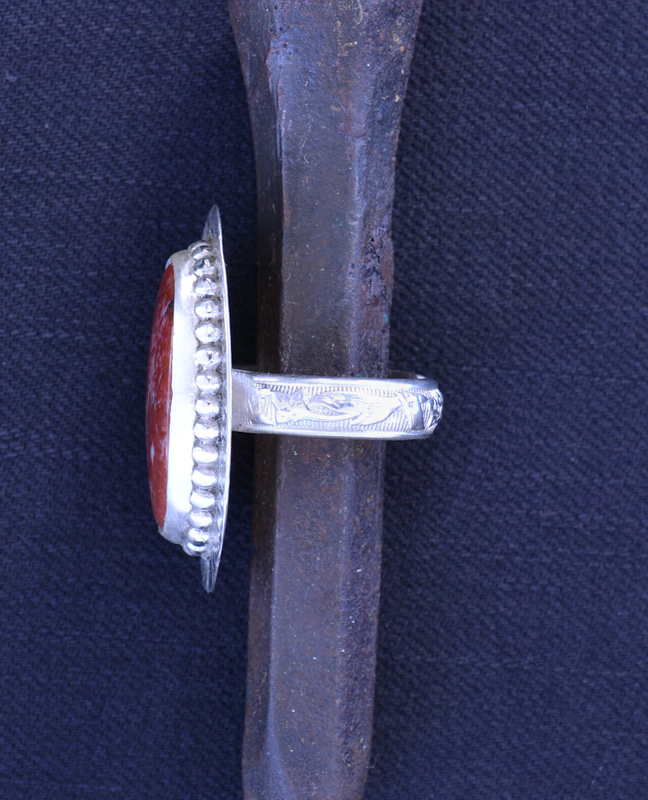 So to return to the point: please order this pretty ring! Note it is adjustable, please let me know your ring size so I can fit it for you.